"I wanted to make a beautiful chair that can stimulate and awaken emotions in people...Therefore, I have established something poetical, simple, strong, relaxed and innovative all at the same time. 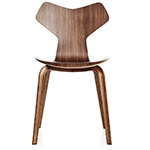 The goal from the beginning was to create the perfect chair." - Hiromichi Konno. Rin is a multifunctional chair that can be paired with a wide range of tables depending on your needs. 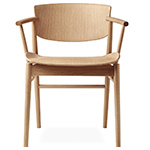 The idea was to create a new type of chair that is in harmony with Japanese and Danish design traditions. The Japanese word RIN means an appearance that is stunning, elegant and courageous. 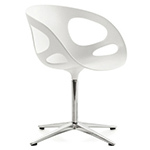 The chair is elegant with a very innovative and progressive design. It invites you to sit in it for hours taking the traditional chair design into a new direction. Hiromichi Konno is a Japanese designer with an international outlook. He has studied in both Japan and Sweden and also lived in London for many years. His style is very unique and there is a special energy and something almost teasing about his designs. 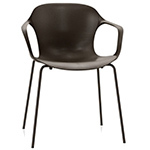 Rin is Hiromichi Konno's first collaboration with Fritz Hansen. 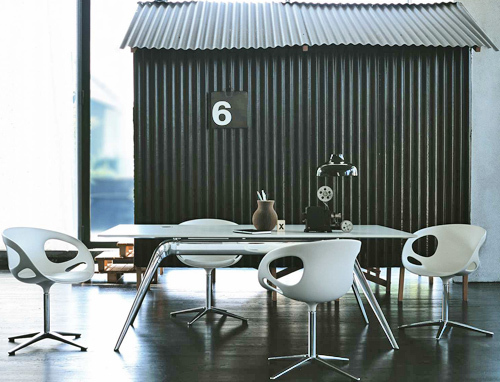 We think that Rin looks particularly great with the Circular tables from Arne Jacobsen or the Plano table from Pelikan Design. 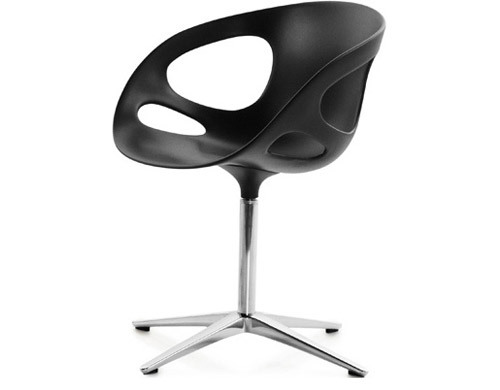 It is currently available in two molded seat shell colors with or without upholstery. 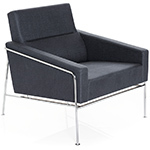 The frame is a 4-legged star-shaped swivel base made of polished aluminum and a polished pedestal made of steel with attached glides made of black injection molded plastic. 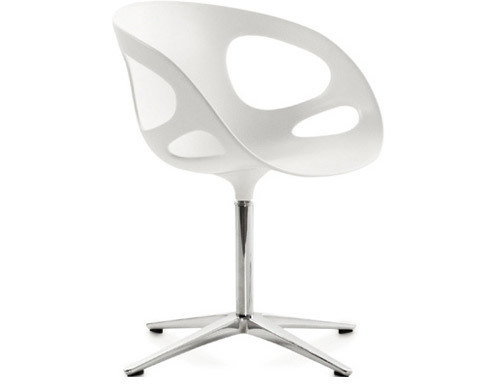 The swivel star base is available polished or powder coated to match the shell. For environmental reasons all parts of the Rin chair can be dismantled. The plastic can be granulated and material from the aluminum and steel parts can be recycled. 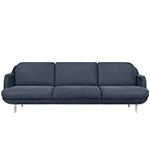 $933.00 + free shipping in the continental U.S.